Doing more with less is the hallmark of FTSE 250 legal teams, and there are some early, easy wins available to those starting out on the long journey to improved operational efficiency. Read more from Drew Macaulay and Robin Snasdell on how to transform legal operations. 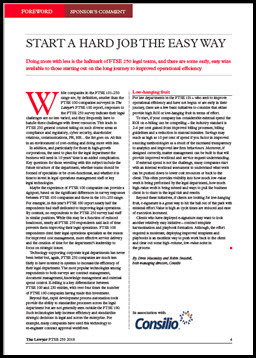 This article originally appeared in the The Lawyer FTSE 250 2018. To view the full article, click here.